Photos of dessert! The internet doesn’t get much better. These two bundles of sugar were eaten at the Jade Garden in Guangzhou. 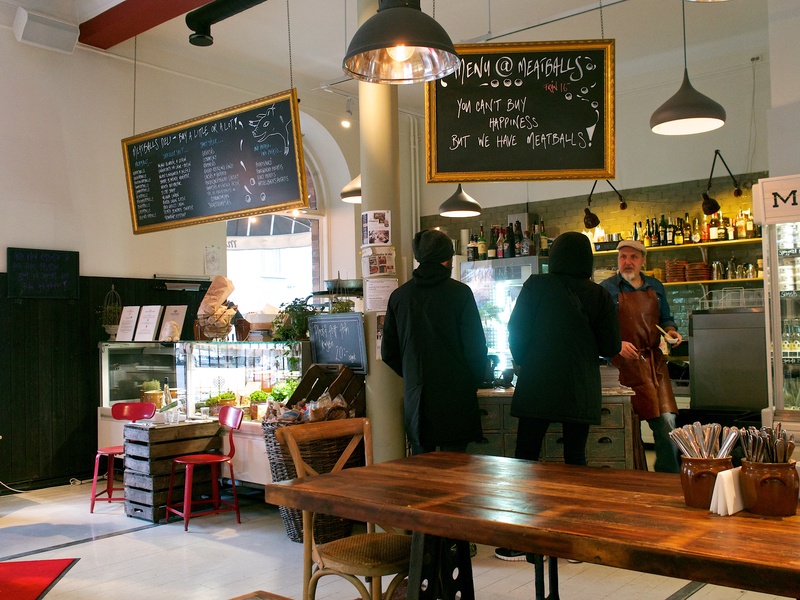 Somewhere in the Södermalm district of Stockholm is the Meatballs shop which, as you would expect, sells meatballs. 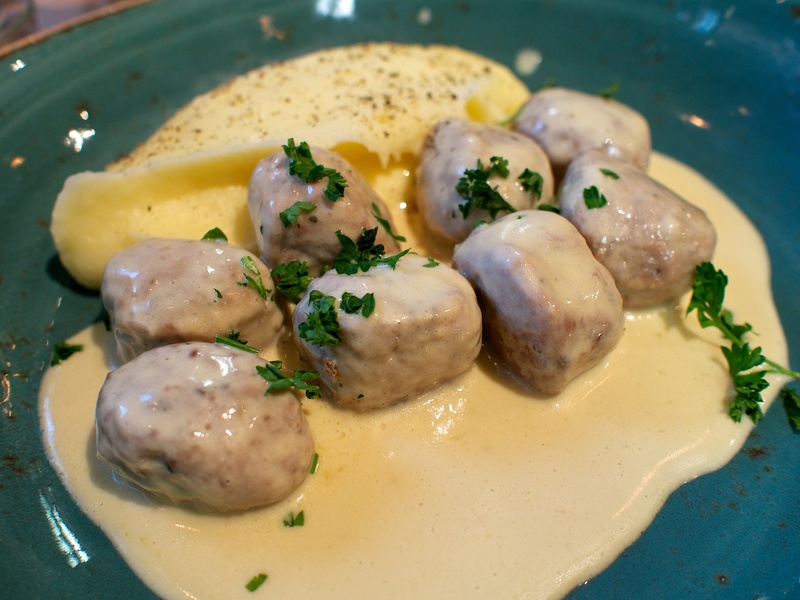 Swedish meatballs, of varying types and meats (and non-meats). Here they are shown served with some creamy mash, and came with pickled cucumber and lingonberry – very tasty, and I don’t even like meat! I’m not generally a big burger fan, but this hipster place has very tasty burgers and very friendly staff. Get there early unless you want to queue. My photo of the actual burger looked liked it had exploded so they’re shown neatly wrapped. Women were selling biscuits from plastic bags all over Marrakech. The biscuits might be an amazing Moroccan delicacy however I never tried as the bags always contained a lot of wasps. I’m not a big fan of wasps.